Oracle Process Accelerators … the path to process excellence … faster! First of all, a very brief reminder of why anybody would use a Business Process Management (BPM) tool such as Oracle’s BPM Suite. Well words like integration; efficiency; flexibility; collaboration; clarity; understanding and speed quickly come to mind for those of us that have worked on projects using Oracle BPM. The main use cases are work flow and service orchestration. So, what are Process Accelerators? And how do they fit in to all of this? Process Accelerators are ready-to-deploy solutions based on best practices to simplify process management requirements. They are considered to be “product grade”, meaning they have been designed; engineered, documented and tested by Oracle themselves to a level that they can be deployed as-is for a solution to a problem or extended as appropriate for a particular scenario. The idea is to configure and extend rather than start with a blank piece of paper. Put simply the title of this blog sums it up; they accelerate or quicken the path to process excellence. Process Excellence has been bandied around as a term by Oracle (and others) since at least 2007 (6 months prior to the purchase of BEA). 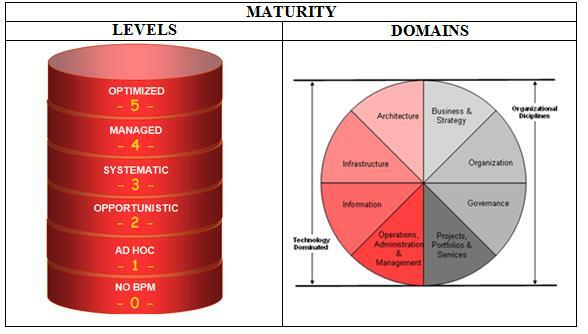 It is difficult to actually come up with a direct definition of the term as it is so widely used, but can possibly best be summed up in this context by considering Oracle’s “BPM Capability Maturity Model framework”, where Organizations are graded on their maturity levels (N/A, ad hoc, opportunistic; systematic; managed, optimized), in key capability domains such as governance and architecture. Though a series of BPM projects (or iterations) an Organization might move towards being optimized and thus achieving “Process Excellence”: to be able to execute efficiently against multiple process management initiatives. This means the organisation adopting the process accelerator is given a massive boost up the BPM Capability Maturity model by adopting solutions that have been iteratively developed by Oracle with industry customers and leading product specialists to solve their BPM problems. Process Accelerators can be categorised in to two categories (horizontal and industry specific). (Italic accelerators are not currently available but in development). Currently aimed at low priority business requirements that affect most organisations so have a time and cost associated such as document routing and approval and travel approval. These are termed horizontal processes and could possibly be deployed as-is by most organisations. These are more complex and are therefore specific to an Industry. To get you started with accelerators, you need to email oracle_process_accelerators@beehiveonline.oracle.com to request access to the team site on Oracle Beehiveonline. Oracle are very keen to push the usage of Accelerators and were actively canvassing ideas for new accelerators at this year’s Oracle OpenWorld. So … if you have any ideas … or a problem that needs solving … maybe email the same address above! I intend writing a second blog on accelerators with some help on how to download and install them as I found I had to stray from the installation guide provided by Oracle … so please check back later for the next part.